A Community trademark offers the considerable advantage of protection in the European Union’s 27 member states. However, the Community system still presents a number of drawbacks that may lead mark owners to prefer other registration systems. A lack of objective guidance from the Portuguese Trademark Office and conflicting decisions from the courts with regard to the classification of goods and services create difficulties for IP rights owners seeking to protect their rights in Portugal. Germany is Europe’s largest economy, so careful consideration should be given as to how best to protect trademarks in this key jurisdiction. Trademark prosecution in Canada presents many unique features, including some disparities with the systems in place in its neighbour – the United States. 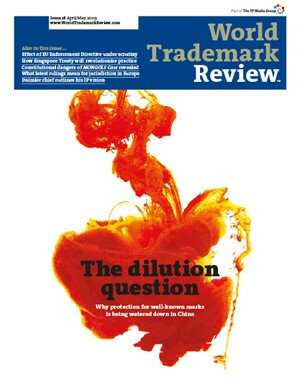 Knowledge of the law is one thing, but more needs to be considered when thinking of adopting a new trademark in Benelux. In this article some strategic considerations are discussed. Russian legislation for trademark protection has certain peculiarities that need to be taken into account when planning to enter the Russian market and choosing a strategy for trademark protection. While Romania has a longstanding tradition of protecting trademark rights, issues relating to its accession to the European Union make the development of registration strategies tricky. Trademark prosecution in Italy differs strikingly from most other systems. The process will significantly improve once the opposition system, set out in the Trademark Law of 1999, is finally implemented. While trademarks are protected under both common law and federal law in the United States, obtaining a trademark registration offers unparallelled advantages. But brand owners should beware of the quirks of the US registration system. Protecting trademark rights in Mexico poses a number of challenges. The law sets out strict requirements on the types of signs that are capable of registration and the procedures differ in many ways from those in place in other jurisdictions. Marks that are similar and were filed close together in time are normally examined by the registrar of trademarks who will render a decision based, among other things, on the good faith of the applicants and the extent of use of the marks at issue. Despite not being part of the European Union, Norway’s registration procedures are, for the most part, aligned with those in place across Europe. However, there are some differences so rights holders must plan their filing strategies with care. Brand owners seeking to register their marks in China need to be aware of the delays at the Trademark Office, the quirks of the classification system and the pitfalls of transliterating names into Chinese characters. Selecting the goods and/or services to be applied for in a trademark application is a more complex task than meets the eye. This is particularly true in Spain where the trademark office's practice differs from that of other EU IP offices. Trademark prosecution in Brazil presents specific challenges – the most obvious and difficult of which is the substantial backlog at the Trademark Office.